Award winning writer and illustrator Liz Pichon is one of the keynote speakers at the SCBWI-BI Conference 2017 and we at SCBWI are absolutely delighted that she will be joining us. 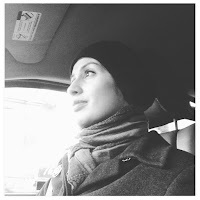 Events editor, A M Dassu shares some fun facts about Liz, so you can get to know her a little better before you meet her. Excited much? 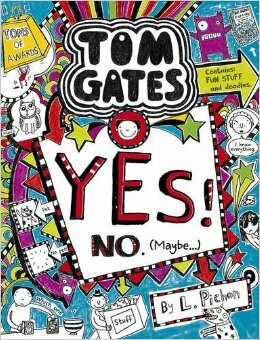 The Tom Gates series has been a triumph for British publishing. 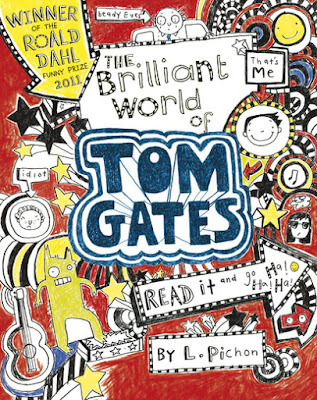 The first book in the series The Brilliant World Of Tom Gates was published in 2011. The books have been translated into 42 languages, in 36 countries and have sold over four million copies worldwide. Liz has won many awards for her Tom Gates titles, including the Waterstones Children’s Book Prize for 5-12 Year Olds, the Red House Book Award, the Roald Dahl Funny Prize and also the Blue Peter Book Award. She also won the Nestle Smarties Award for her picture book, My Big Brother Boris and the Bishops Stortford Picture Book Award for Dave. 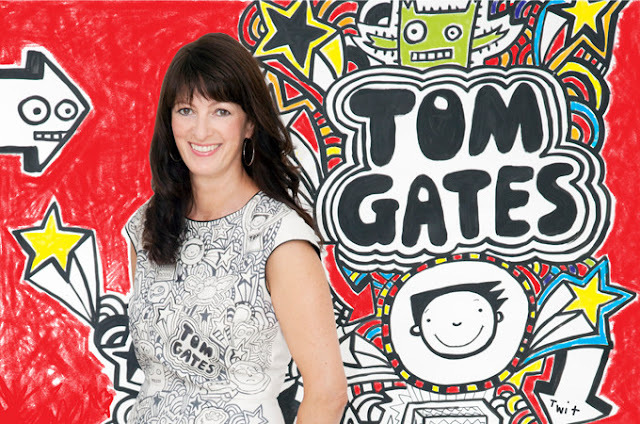 In 2013, Liz was a World Book Day author with Tom Gates: Best Book Day Ever (So Far). So how did Liz begin to write such a successful series? What did Liz do before she became a writer? Read on! Tom Gates started off as a picture book idea. It was based on a scrapbook that had lots of drawings and things stuck in it. At the request of publishers, Liz then developed it by writing a journal with doodles on the cover, but they didn’t think that worked either, so Liz imagined Tom was writing and drawing in an exercise book himself, including water-smudged ink and ripped off pages where Tom’s dog had eaten his homework and the publishers loved the idea! Seven publishers offered to buy the hand-written, seemingly well-thumbed manuscript but Liz signed a three-book deal with Scholastic. There are now 12 books (including an annual) following Tom’s life! Liz draws on layout paper and writes on regular A4 paper. She uses a soft pencil and rubber to write with. The final artwork is scanned into a computer, cleaned up and the spacing is tweaked before she sends it to her editor. The main fonts in the Tom Gates books are made from Liz’s own handwriting! It takes Liz five to six months to write a Tom Gates book. She writes and draws every page by hand. Liz thinks of the titles herself and believes they’re a BIG deal because they can give a hint to the story. She says they can give you ideas for a whole storyline sometimes. She was running on the seafront in Brighton when she got the idea for Yes! No. (Maybe). When writing, Liz focuses on what she was like when she was Tom’s age. Her books feature a lot of things she used to do. Growing up Liz loved Spike Milligan’s Silly verse for Kids and all the Roald Dahl books, especially the The Twits. She was also fascinated by Richard Scarry’s drawings and stories. Liz worked at record label, Jive Records as a graphic designer and her husband worked as an engineer in the music section and was also in bands, writing and producing music – this is one of the reasons Liz wanted music to feature in the books and Tom to be in a band. After leaving Jive Records, Liz set up a T-shirt company and then freelanced for Camden Graphics, the largest producer of greeting cards in the UK. Liz then began illustrating other people’s books. After working on Enid Blyton’s Bible Stories and a few board books, she decided to try and write her own picture books. Her first one was called Square-eyed Pat. 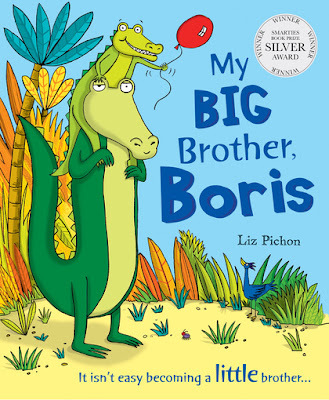 In 2004, her second book My Big Brother Boris won the Nestle Smarties Book Prize Silver Award. It's not often that you get the chance to meet an ingenious writer and illustrator, so start scribbling down any questions you might want to ask Liz at the SCBWI-BI Conference 2017. If you haven't booked your ticket for the conference, what are you waiting for? Click here. Until then, you can learn more about Liz Pichon's work and her other events at http://lizpichon.com.